We have not played the Club de Campo de Cordoba so I regret that the following information is solely what I have gleaned from local publications and their web site. Cordoba used to be a 9 hole course but their web site is now advertising a full 18 holes. As the web site is entirely in Spanish (with very little content despite a recent revamp!) the only real information I can provide is that they are advertising green fees at 40 Euros each during the week with some special pricing (a buggy for only 10 Euros!) for 2 players or more but when I last called in 2013 they wanted 120 Euros each. It would appear, therefore, that they are a members’ club and merely tolerate visitors as this is a very high green fee compared with other inland courses. 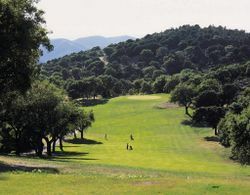 Another publication states that the course is located in the hills of the “Serrania de Cordoba”, 8 Km north of the city. This is the only 18 hole course in the province of Cordoba (presumably as of January 2009, the date of the publication). 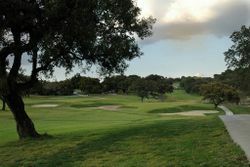 Originally constructed in 1976 t he pictures of the course depict a much more mature course than most in southern Spain. 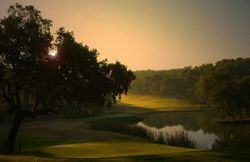 The Golf Europe web site states the following: "Club de Campo de Cordoba is a naturally undulating parkland course. The fairways are lined with mature trees. The course is made even more interesting by the eleven doglegs and the four holes whose greens are bordered by lakes, especially the 4th. There are a lot of birds and other wildlife. The course is a very natural one so you are advised to take some drinking and eating provisions with you - and do take ALL your garbage with you." A little English correction has been applied to this! You should definitely call them before going to play, if only to check the green fee; the number to call is +34 957 350 208. Their web site is: www.golfcordoba.com from which these pictures are taken.